Lauren received her Master’s Degree from John F. Kennedy University. 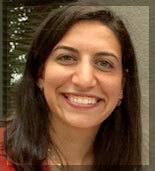 Lauren is a Certified Consultant with the Association of Applied Sport Psychology, provisional status. Lauren was born and raised in Canada and of course loves hockey. As an athlete, she played soccer and played on the women’s hockey team while earning her Bachelors degree. Lauren has worked with athletes on developing their mental skills to assist them in achieving their goals as well as working with individuals to improve their overall health and wellness by establishing good daily habits. Lauren has worked with water polo teams, athletes aspiring to play at a club and collegiate level in baseball, swimming and hockey. Lauren currently resides in the San Francisco Bay Area, where she enjoys spending time outside and plays ice hockey at a competitive level. She provides services in-person and globally via Skype.